High Quality Content by WIKIPEDIA articles! 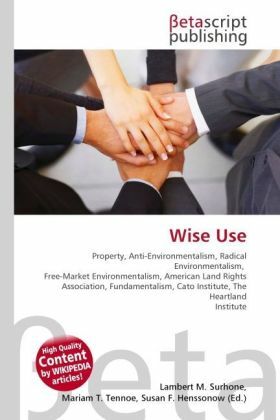 The Wise Use movement in the United States is a loose-knit coalition of groups promoting the expansion of private property rights and reduction of government regulation of publicly-held property. This includes use by commercial and public interests, seeking increased access to public lands, and often opposing government intervention. Wise use describes human use of the environment as "stewardship of the land, the water and the air" for the benefit of human beings. The wise use movement arose from opposition to the environmental movement and critics see it as anti-environmentalist.